Fresh from its initial unveiling and then its release to the US market in the Autumn, late last month Google’s latest streaming device – the Nexus Player – hit the UK shelves. The device, retailing at £79.99 (roughly the same price as Amazon’s competitor Fire TV streaming box), is – significantly – the first to use the new Android TV operating system (OS), coming later this the smart television screens of Sony, Sharp and TP Vision. It comes complete with the “cast” technology offered by Google’s content-less Chromecast, its Wi-Fi streaming dongle, and also offers content and services through apps from the Google Play store, among others. As we described in a piece on these pages back in October (What are Google up to in TV? 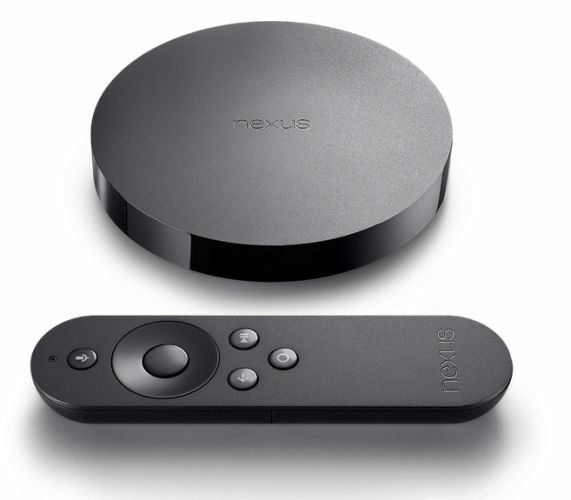 ), we consider the Nexus Player to be the “true inheritor” to the old Google TV’s position in the market, and a “direct competitor” to other content and streaming device plays, among them Apple TV, Amazon Fire TV and Roku, in a way that Google Chromecast simply wasn’t. It goes without saying that the streaming device market is an extremely congested one, one that is growing its share of online VOD consumption (at the expense of PCs and tablets) according to our own research, but – as we argued last year – the Nexus Player seems to have shifted the goalposts slightly. The third plank in what we deemed Google’s “three-pronged re-entry” into TV has now slotted into place (we give more detailed thought to this in October’s here). Now seems like an opportune moment to reflect upon what this all could mean. The ASUS-made Nexus Player’s been warmly received by the UK market in its first few days in UK living rooms and in the demo rooms of our sister company iBurbia Studios. It has an intelligent voice search functionality, not too dissimilar from that offered by Amazon’s Fire TV and soon-to-be-released Amazon Fire Stick, and connects to a TV set in a simple fashion via an HDMI cable. It has a small, but nonetheless functional, 8GB of storage (four times the size of Fire TV), and Android smartphones can be used as remotes should a user prefer that to the supplied, deft-looking remote control. One stark contrast to its nearest competitors, Apple TV and Amazon Fire TV, is that the device lacks an Ethernet port. The internet connection – and any anticipated streaming – is therefore wireless and wireless alone. In terms of content, the device comes pre-loaded with apps including Netflix and YouTube, as well as the Google Play Store. To complement a growing games offering (something Amazon are expected to develop with the release of the Firestick), an optional gamepad acts as a games controller for the Nexus Player should the remote control prove too limited. Putting to one side all the talk of drones, virtual reality headsets and wearable tech at this year’s Consumer Electronics Show in Las Vegas, we at Decipher were left frustrated by a series of announcements from two television manufacturers that were little reported and yet indicative of some of the growing pains smart TV has encountered heretofore. An announcement from a third heralds new promise in the confused and confusing smart television OS landscape. 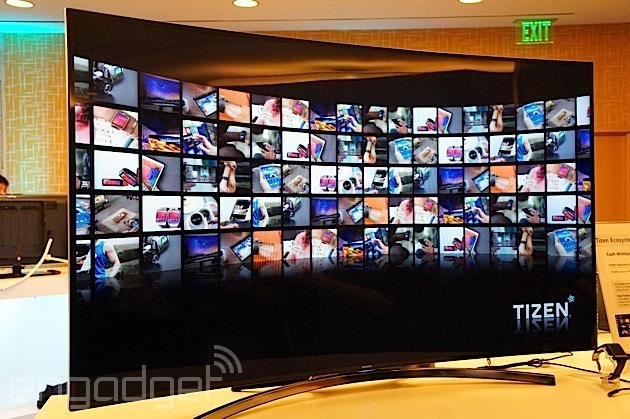 The first announcement came from Samsung, which until recently has used its own Smart TV platform. 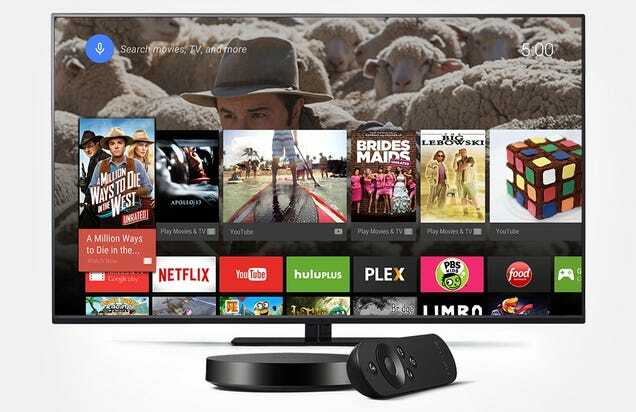 In all of its latest smart television models it said that it would default to its so far troubled Linux-based Tizen OS, promising an “integrated entertainment experience that is at once streamlined and powerful”. Tizen, revealed to the world almost two years ago at the Mobile World Congress, has had a less than auspicious honeymoon period, finding its way into just a handful of smartwatches, digital cameras and – after one aborted attempt (does anyone remember the Samsung Z?) – into the Z1 smartphone. Developers looking to get apps on a Tizen-powered homescreen (see right) will need to work within the framework of its Tizen Software Development Kit. Tizen is seen by industry commentators as Samsung’s attempt at a strategic “glue” that marries together smart devices and the wider potential its push into the “internet of things” – indeed, one Samsung exec articulated it to be the “OS of everything”. To this end, the new Tizen-driven smart televisions will automatically search for nearby Samsung mobile devices, connect to them, and allow for content to be shared seamlessly across the home broadband network. This all sounds promising, except when you learn that the OS won’t be made available as a software upgrade for many of its older smart TVs, and – for owners of sets that can be upgraded – an “Evolution Kit” will need to be purchased to facilitate the change. It remains to be seen whether Samsung’s grand ambitions for its proprietary OS can be realised. Up next was Panasonic, which announced its latest sets will run a Firefox-based OS, having in the past experimented with the Viera Cast and Viera Connect operating systems. As part of a partnership with Mozilla, the developers of Firefox, the new system will be built on open standards, and users will be able to share content from any smartphone, tablet or PC with a Firefox browser or compatible app across the home broadband network. It promises, perhaps clunkily, to “unlock the power of the web as the platform across [an] expanding ecosystem of partners and devices”. We’ve been told that Panasonic’s user interface has been adapted to improve ease of navigation to live television, apps, websites and content streamed from other devices. Our fingers are crossed, but sadly telling is a line in Mozilla’s corporate blog announcing its partnership with Samsung for the coming year, describing the Firefox OS as empowering “developers, operators, hardware manufacturers and even (my italics) consumers to create customised and innovative, connected experiences”. Last but not least was a glimmer of light from Sony, which announced that all of its 2015 smart TVs will be powered by the new Android TV OS (as right), leaving behind the Smart TV suite it had used previously. Sony of course has history with Google in the shape of Google TV, but this new development augurs well for Sony smart televisions as a product. Running the Android 5.0 “Lollipop” OS, developers will be able to use Google’s Android TV SDK Kit to optimise their apps for the platform. The software provides easy access to streaming services, allows for multiplayer gaming, and comes equipped with Google Cast – allowing users to “throw” content up to the television screen from connected mobile devices. In recent weeks, Sharp and TP Vision have announced similar plans to incorporate Android TV into their latest smart sets. What all this comes back to, as we’ve observed on numerous occasions in the past, is how screen manufacturers in recent years have wanted to develop their own proprietary operating systems, thinking it gave them a sense of strategic advantage or control over users’ media habits. In the recent past, it has been just too difficult for third-party developers to create bespoke apps beyond the iOS, Android and Windows environments to sit on smart television screens. The consumer experience, in terms of functionality but also in terms of interoperability across these different environments, has been extremely and dispiritingly poor. The prospect of several notable manufacturers clustering around a single operating system is an exciting, welcome and long overdue development for the evolution of smart television, whose gardens have been too walled and too complicated for consumers to navigate for too long. Developers will be able to optimise apps for multiple, rather than individual, manufacturers. Barriers to entry will be reduced. Innovation will be encouraged, not stymied. Presentation, content and functionality will be consistent, whether my set is made by one manufacturer or a close rival. And, as we opined in October Android TV gives Google a new class of device that favours other fellow Android devices around the home. To return to Google’s Nexus Player, it’s our understanding that Google view it as a “trial platform” for developers wanting to experiment with apps destined for mainstream Android TV smart televisions and set-top boxes, not as a product with its own long-term rationale. In this sense, both as a neat consumer proposition and as a “test bed” for wider innovation around Android TV, its arrival is most welcome. As if this wasn’t all perplexing enough, and as if to demonstrate the practical effects of the strategic headaches manufacturers have been causing themselves in recent years, it emerged in the industry press during the Consumer Electronics Show that owners of one of LG’s 2014 webOS TV models cannot upgrade to its latest operating system, webOS 2.0. Only 2015 models are able to do so. This is just one example of how those manufacturing hardware have slipped up on the software. It’s simply no wonder that consumers’ conceptual understanding of what “smart” television is, and what it can offer, has stalled. ← There Is A New Row Brewing…..!